Included is a recolor of Buggybooz from MTS Kitchen basic counter. Only the counter has been recolored because it is the master. 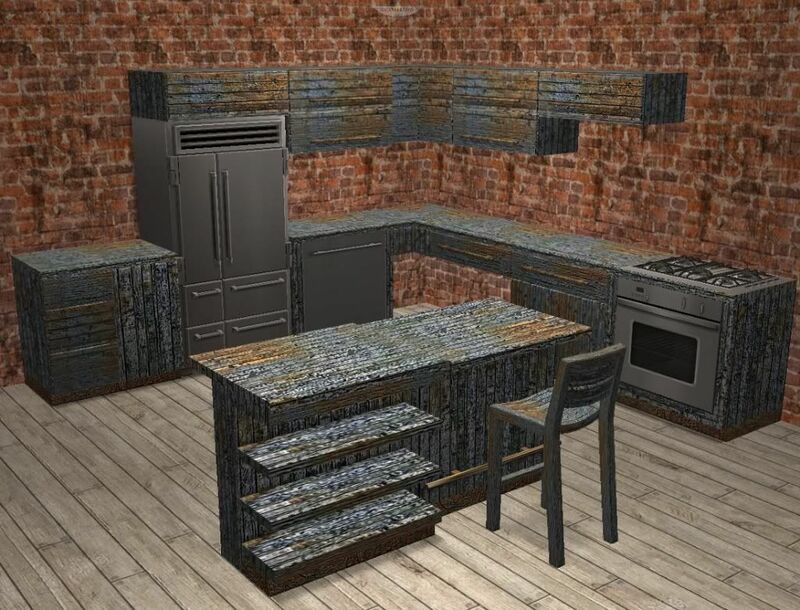 This one recolor will also show up in any of the other Kitchen Basic furniture as well except for the fridge which wasn't recolorable to begin with, and the metal parts in the dishwasher and stove. You must have Buggy's Kitchen Basic from MTS Here because the meshes aren't included. Many thanks to Buggy for allowing recolors and providing the very helpful recolor template. Enjoy! I am sorry, the link to these recolours is broken, I have searched all Jon's files and have been unable to find these recolours. If anyone has these recolours, in their files, please contact me. The Sims 2 - No Gridlines EVAR! Julia Sugarbaker - Southerners DO NOT eat Dirt!